Among the many attractions and special tributes taking place at this year’s Revival (16-18 September), Goodwood will pay homage to Lord March’s grandfather – Freddie March, the Ninth Duke of Richmond – on the 80th anniversary of his historic win for the Works MG racing team in the famous Brooklands Double Twelve race of 1931. The Ninth Duke was an accomplished racing driver, taking many victories for both the MG and Austin works teams at Brooklands in the 1930s, before going on to establish the celebrated Goodwood Motor Circuit in 1948, the scene of Britain’s first post-War public motor racing event, and now home to the Goodwood Revival. Goodwood will mark the 80th anniversary of Freddie March’s important 1931 race win with the MG team of five cars that he created, by staging an authentic recreation of the MG team’s Brooklands paddock at the Revival, including a line-up of supercharged racing MG C-type Midgets from the early 1930s. At least six authentic racing MG C-types will be on display at the 2011 Revival, including two Midgets that competed in the Brooklands Double Twelve endurance race. 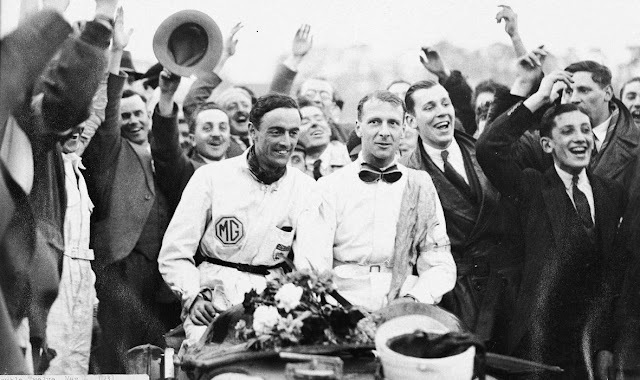 A total of 13 C-types were entered in the Double Twelve in May 1931, with the MGs securing the coveted team trophy, as well as the top five places, with Freddie March taking the chequered flag.